Parades, picnics, BBQs and fireworks—celebrating the birth of the nation is a blast! Here are some ideas to add even more fun to your backyard Independence Day celebration. Enlist young and old to help assemble this sweet treat. You’ll need thin bamboo skewers, blueberries, watermelon slices and a star-shaped cookie cutter. Cut stars out of the watermelon slices. To assemble, thread 7 to 9 blueberries on the skewer and top it off with a watermelon star. It’s so easy! Use this Pinterest pic from dreamingingdiy.com to go by. 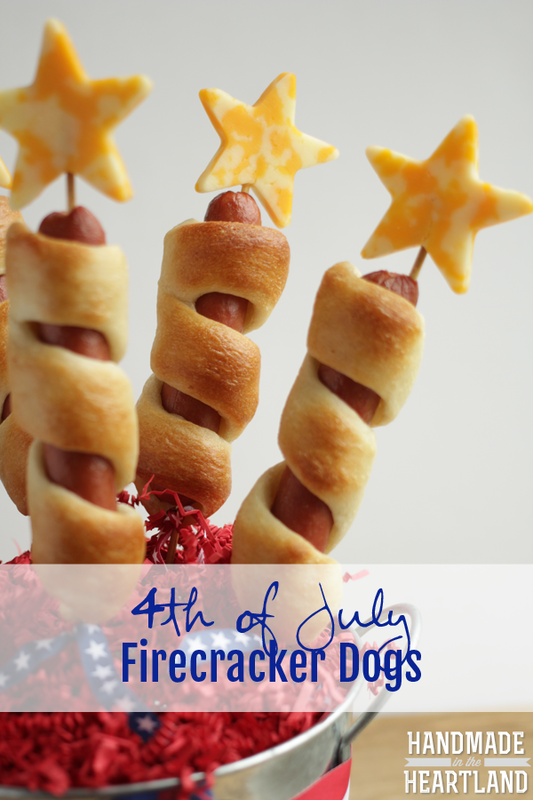 No, you don’t light these frankfurters on fire, but you will delight your guests with a new twist on this Independence Day classic. Grab those bamboo skewers again, some hot dogs, biscuit dough, Colby cheese slices and a small star cookie cutter. Skewer the dog the long way, spiral the biscuit dough around the dog and bake. Top it off with a cheese star. See the directions from Handmade in the Heartland here. Combine spray paint with bamboo garden stakes and to make a jumbo-size of Pick-up Sticks. You’ll need 33 stakes and five colors of paint. Get the complete instructions here. While you’re at it with the spray paint, make a Twister lawn game. Make a circle template by cutting a circle out of a large cardboard box. Spray four rows of six circles making each row a single color. If you don’t have spinner from a Twister game use slips of paper in two baskets. One will have slips for the four colors. The second basket has slips of paper for the limbs (right foot, right hand, left foot, left hand). Draw one slip from each basket to call out moves for the players. As dusk settles in, set up a Firefly Catching Station. All you need are jars with lids. Punch some holes in the lid with a hammer and nail so the fireflies can breathe until they’re set free again. See a cute setup here. However you celebrate the Fourth, be safe and have fun!